One such innovation was the Ticket Manager for manufacturing operations, a digitalization project realized in collaboration with Bosch Software Innovations. 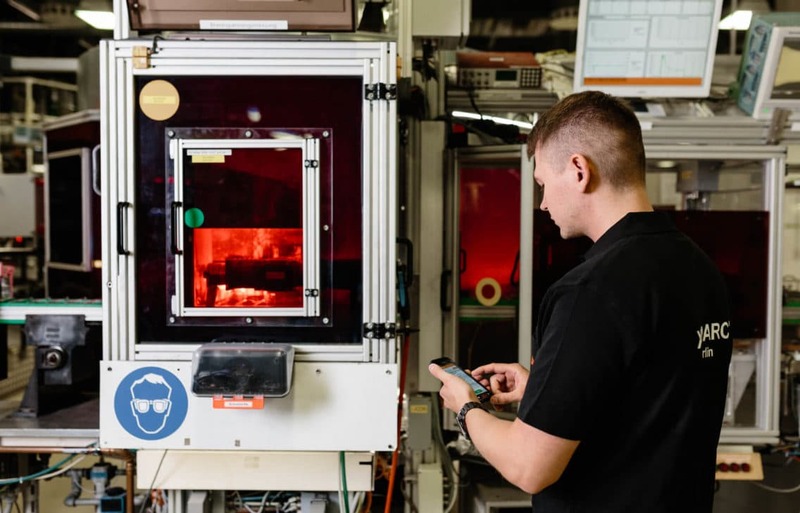 The main question was “How can we make manufacturing productive, flexible, and modular?” Answer: connect the more than 80 machines at OSRAM’s Berlin location. Employees were granted access to the Ticket Manager to carry out their work. 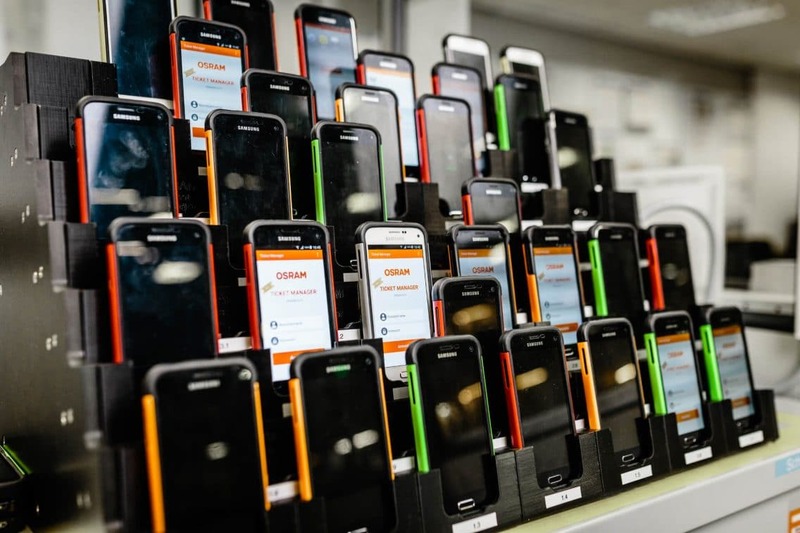 At OSRAM’s location in Berlin the Ticket Manager is the center of all communication in production. The tool is now at the center of all communication in production. An app on employees’ mobile devices gives them their work assignments and keeps them constantly up to date on the status of their machines. As a result, the skilled workers can carry out their tasks faster, more efficiently, and with greater precision. “Our communication in manufacturing is now better and more mobile,” says Sroka. A professional toolmaker and mechanical engineer, Sroka began his career at the lighting manufacturing company in 2004. Since 2014, he has devoted all his time and energy to the topics of digitalization and connectivity. At the same time, the Ticket Manager helps the company rethink structures and workflows in its Berlin plant, which has raised many questions. For instance, about the organizational structure: going forward, which will carry more weight – instructions from the shift manager or from the Ticket Manager? This and similar questions are why Sroka calls the Ticket Manager a “truly disruptive innovation.” There is still no clear answer; in the connected world, ways of working evolve gradually. But for OSRAM, too, one thing is clear: the focus always needs to be on people. OSRAM is no stranger to change, as Sroka is well aware: “In our more than 100 years, we have launched and implemented a large number of change processes.” This is certainly true of many other established companies that can look back at a long history of manufacturing tradition. Innovative projects like the Ticket Manager place particular demands on collaboration among partners. As Sroka puts it, “This is entirely different from straightforward contract work.” Regarding the Ticket Manager, the goal was always very clear – how to achieve it, less so. “Trust and close collaboration played vital roles here,” Sroka says. 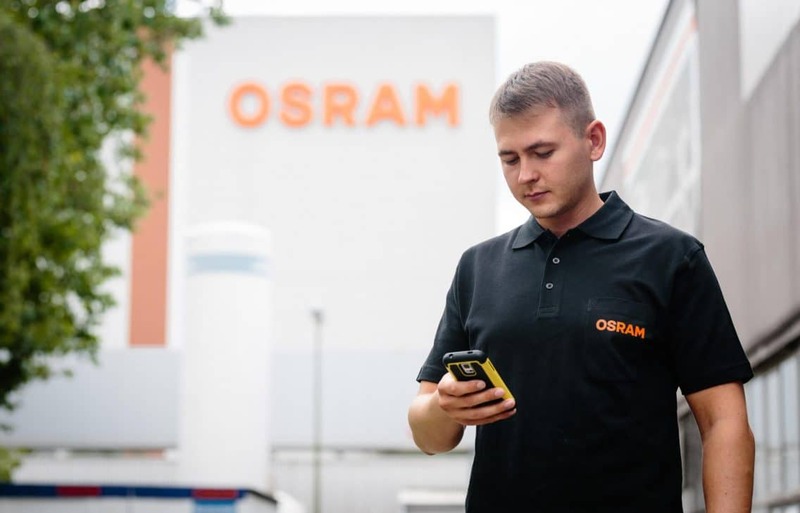 For OSRAM, it was important to find a long-term partner for working on the Ticket Manager. The ticket manager devices used in this digitalization project stand in in a charging dock. The post Digitalization in manufacturing appeared first on Bosch ConnectedWorld Blog.